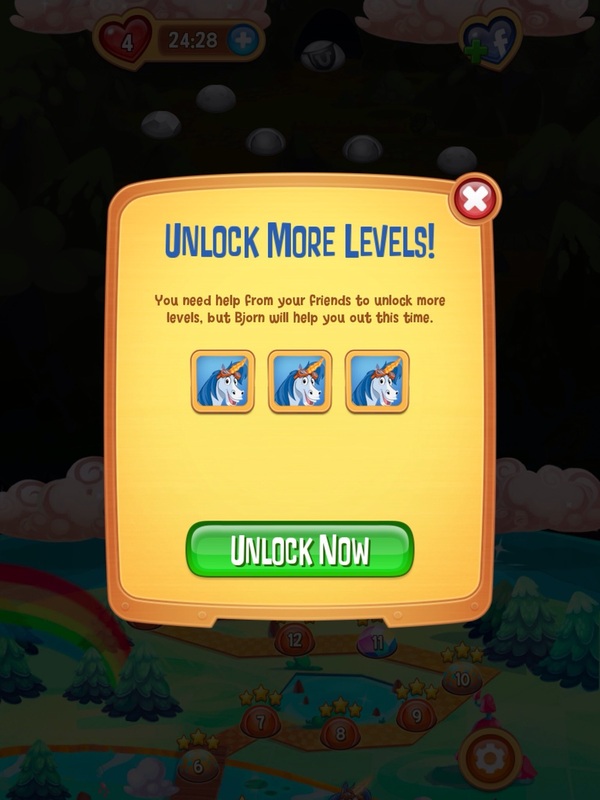 I like Peggle, it's a fun little franchise where you shoot balls on pegs to clear levels. You get power-ups to help you beat the levels and the characters are quite funny (I'm looking at you, Pharaoh Cat). 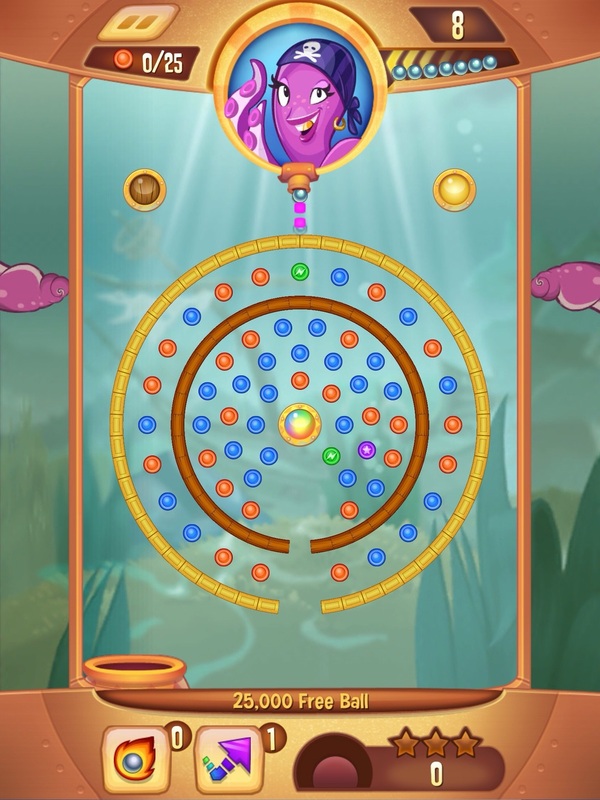 Take everything good with Peggle, replace it with terrible odds skewed in favor of the game, add micro-transactions to every single thing you could, slap an energy system on it and give it for "free" on the app store, you got Peggle Blast. 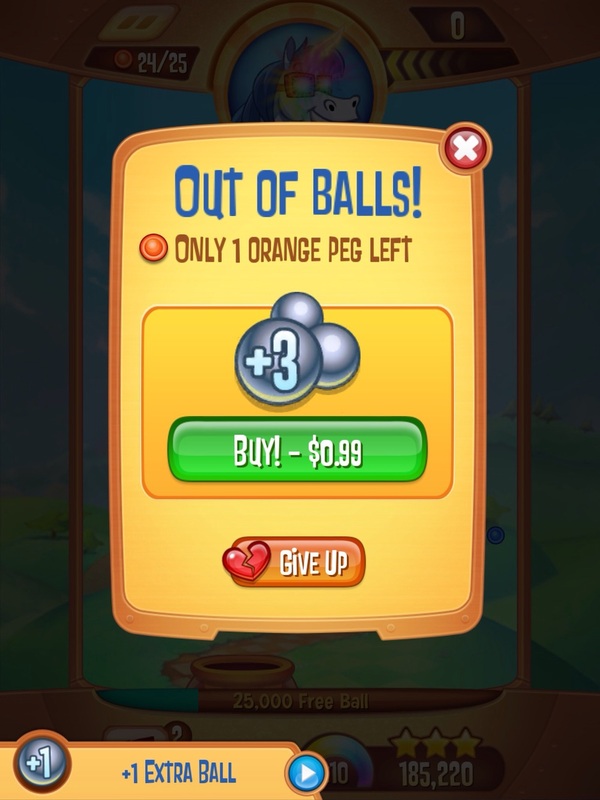 Even the core idea of peggle - launching balls at pegs - is tainted by the whole free to play structure of the game. Just playing through the game, without any proof of it happening, I see shots of mine failing to do what I had expected them to do and can't help but wonder "is it my fault that shot was bad, or was the game 'rigged' in some way for me to fail it?". It's the pervasive effect of free to play balance. If you can sell balls for 33c each and the game works with an energy system, what's to prevent you from skewing the physics a bit towards failure in order to get people to spend money on your free game? Even with the one-use power-ups (that you can buy with real money!) there was a level I couldn't beat as much as I tried, and that's where I stopped playing. There's also a dumb system where you have to wait X hours, pay some money or pester your friends on facebook before you can continue to the next world. Hey, game devs? 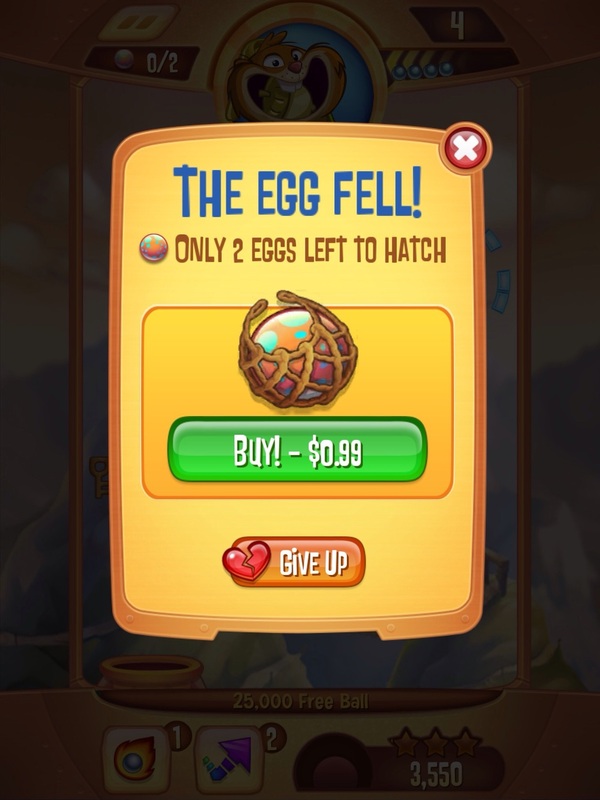 If you're making a game that is part of a franchise that people usually like (PvZ, Peggle, Sim City), don't make a terrible game for free, just make a decent one and sell if 4.99$ or something. I'm sure nobody that loves peggle would think that's too much for a new entry in the franchise. 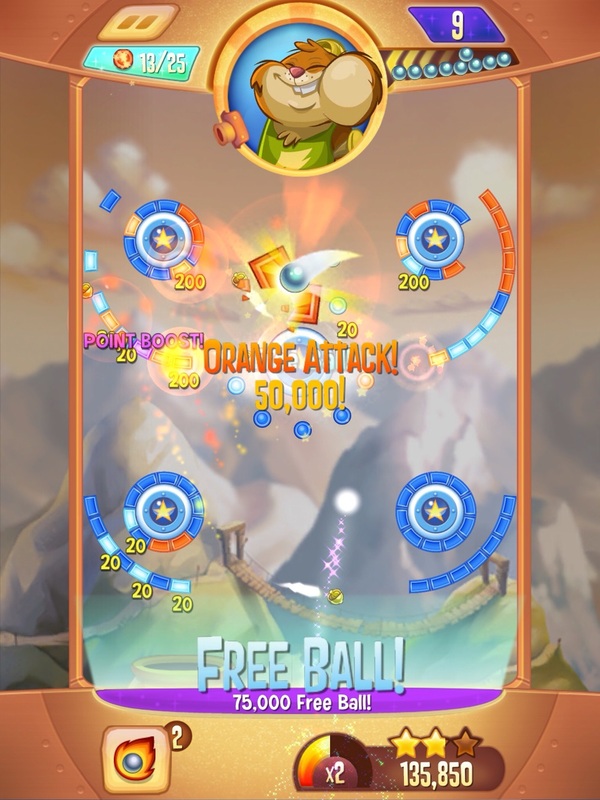 The game has some powerups and tricks - multiball, multiple ball launchers, super guide, etc. - and some different levels - break all the pegs, get gems to the bottom of the screen, break eggs without dropping them (it's an instant game over that you can pay to skip) and boss levels where you have to get the highest score, so it's not entirely without merit, but when the frustrating scenarios only made possible by free to play design occur, all of that goes out the window and you just want to delete it and move on.